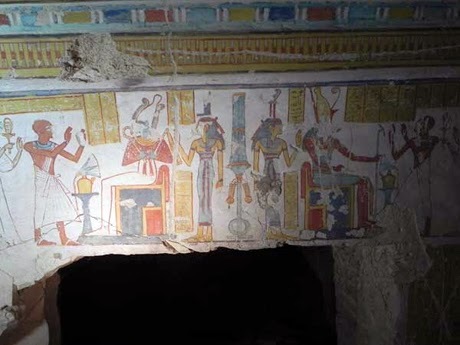 The tomb of goddess Mut’s head of beer production Khonso-Im-Heb was discovered on 3rd of January 2014 in Al-Khokha area on Luxor’s west bank . A Japanese mission from Waseda University uncovered the tomb of Khonso-Im-Heb, who was the head of beer production for goddess Mut and the head of the galleries during the Ramesside era. The discovery occurring during routine cleaning work carried out at the front court of tomb number TT47, which belongs to a top official in the reign of the New Kingdom king Amenhotep III. The tomb of Khonso-Im-Heb is T-shaped with two halls and a burial chamber. 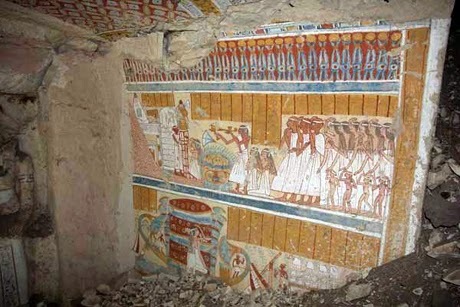 It is also connected to an unfinished tomb of an as-yet unidentified person called Houn. 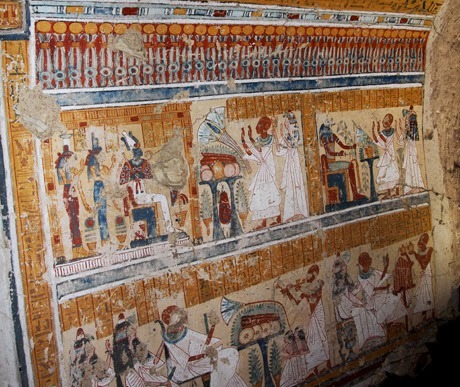 Jiro Kondo, head of the Japanese mission, said that the tomb is well preserved and is fully painted with scenes depicting the tomb’s owner with his family members and in front of different ancient Egyptian deities. 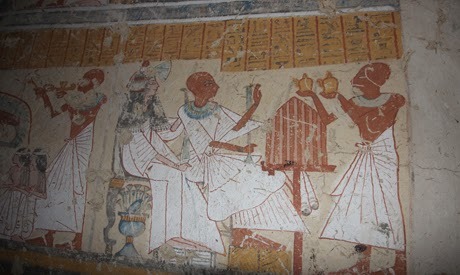 Scenes of the “Open Mouth” ritual also figures on one of the tomb’s wall while the ceiling is decorated with geometrical paintings with vivid colours. A solar boat is depicted at its core.